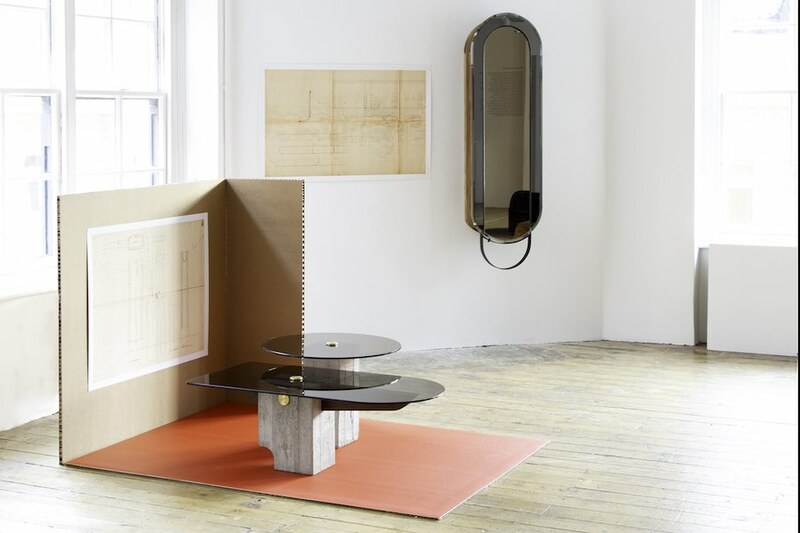 Top 10 exhibitions at London Design Festival 2018 – Hilos Invisibles @ Aram Gallery – Photo by Emma Archer. 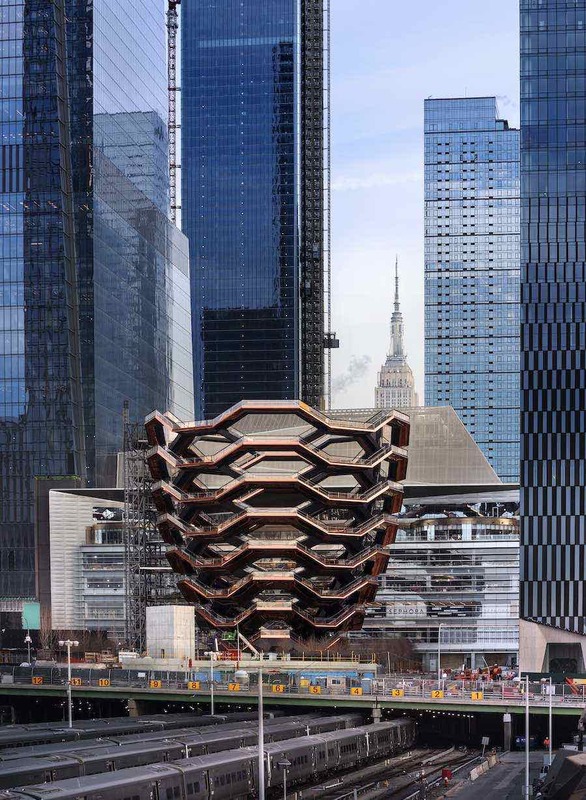 LONDON 2018 – Tom Dixon, Snøhetta, Jason Bruges and more have created pavilions and installations across the British capital, from Paddignton Central to Kings Cross and the South Bank. Make sure to explore these 10 must-see design exhibitions at London Design Festival 2018. The Coal Office: 1 Bagley Walk, King’s Cross – N1C 4PQ [Map]. Photo via IG – Follow @tomdixonstudio. King’s Cross delves into the spaces where digital innovations and the physical world overlap with the launch of ELECTROANALOGUE at the Coal Office – Tom Dixon’s new headquarters. The HYPER REAL exhibition explores the digital manipulation of materiality. 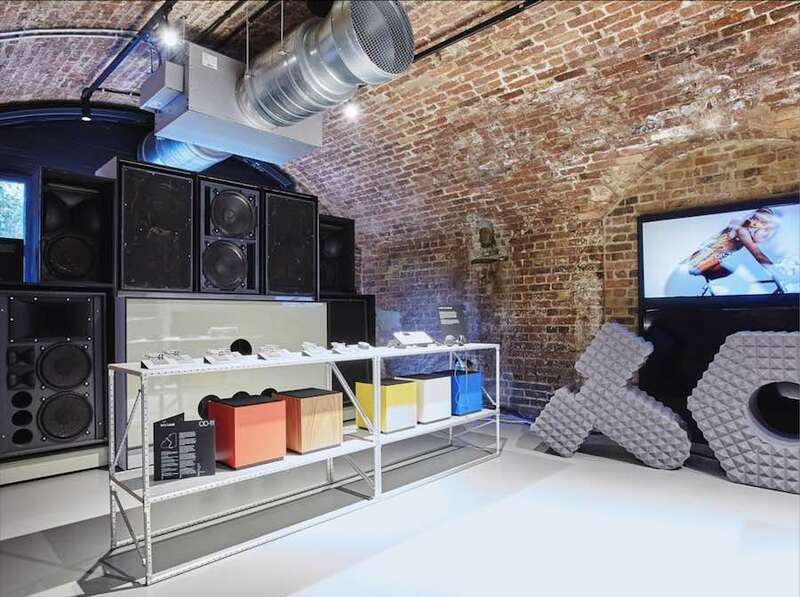 Under the Coal Office arches, Teenage Engineering recreated a 1970s discotheque to launch their new OP-Z synthesizer as well as conducting “electronic music school” sessions. ELECTROANALOGUE hosts also the Coal Office Restaurant while The Factory at the entrance of the Shop has been converted into an electronics assembly line where digital ideas can be tested out and prototypes created. 110 Drury Lane, London – WC2B 5SG [Map]. You do not read much about Uruguay. Squeezed between two giants called Brazil and Argentina, the 4 million people country has got a vibrant design scene. Explore it at the Aram Gallery hosting the exhibition Hilos Invisibles – Invisible in English. 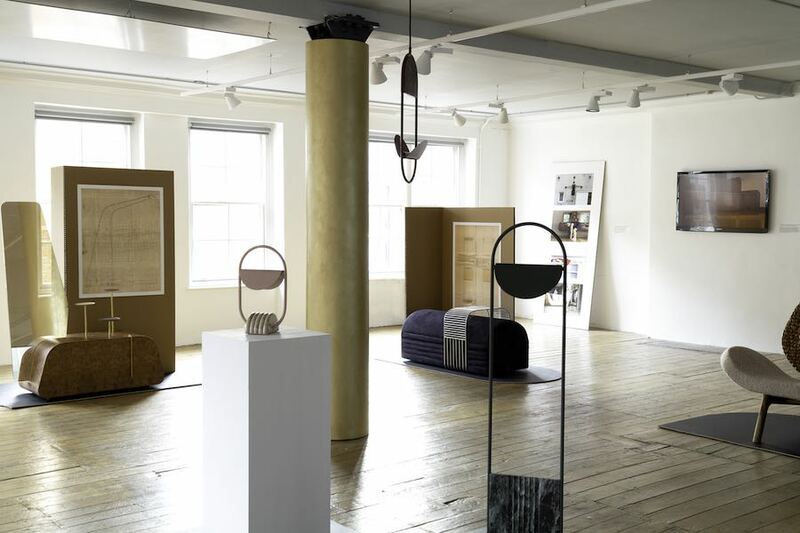 7 Montevideo studios reinterpret the archival work of the country’s most celebrated – and yet internationally unknown – modernist architect, Julio Vilamajó..
Station Court, Townmead Rd, Fulham – SW6 2PY [Map]. Photo by Susan Smart Photography Courtesy of Roca London Gallery. Can data collection actually be good for us? 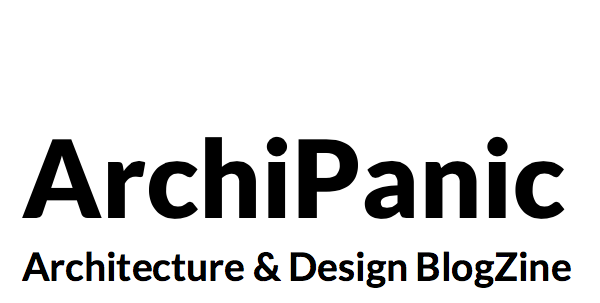 Does the future of human-centered urban design lie in big data? 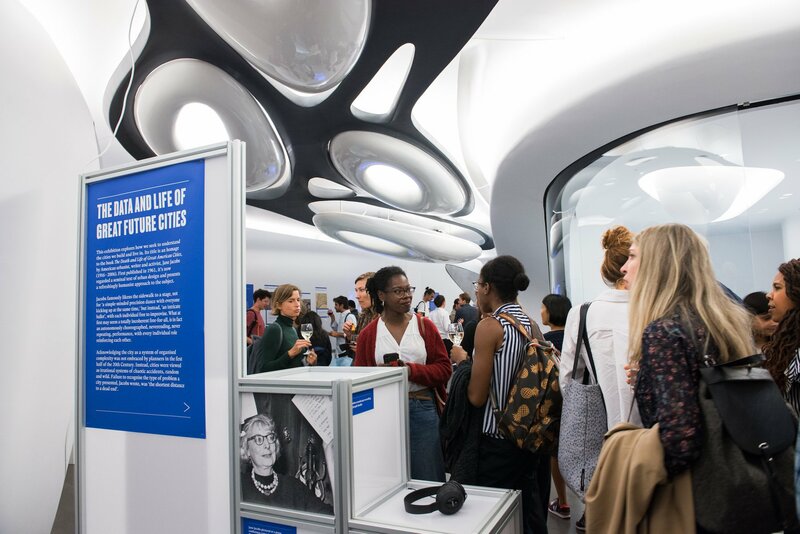 The Zaha Hadid-designed Roca London Gallery responds to these questions with The Data and Life of Great Future Cities, an exhibition highlights the potential for data mining to enhance our understanding of urban spaces and how they’re used. Research by the MIT Senseable City Lab will be shown alongside other projects, exploring how a responsible use of data could be the key to better urban design. 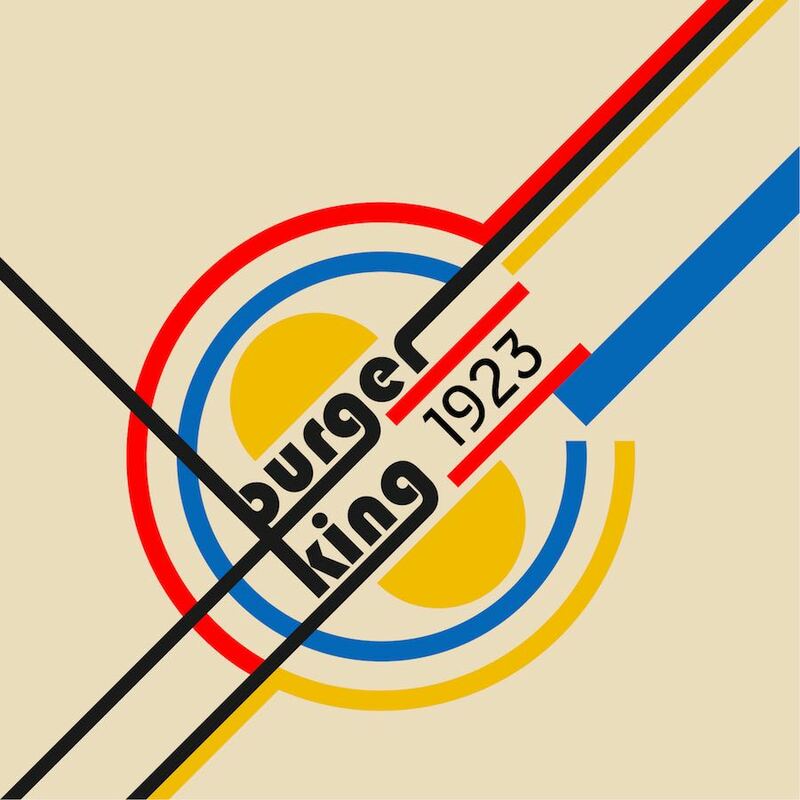 2 Kingdom Street – W2 6BD [Map]. 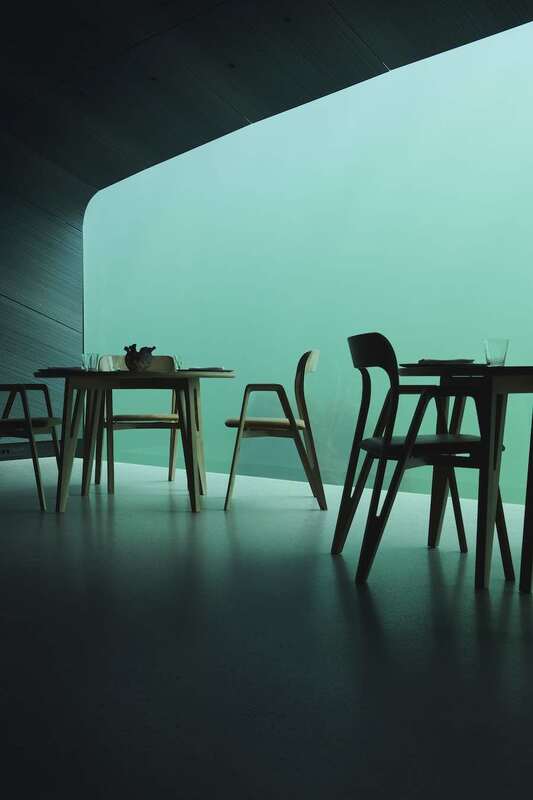 Luchford @ Paddington Design Route – Photo by Snøhetta. 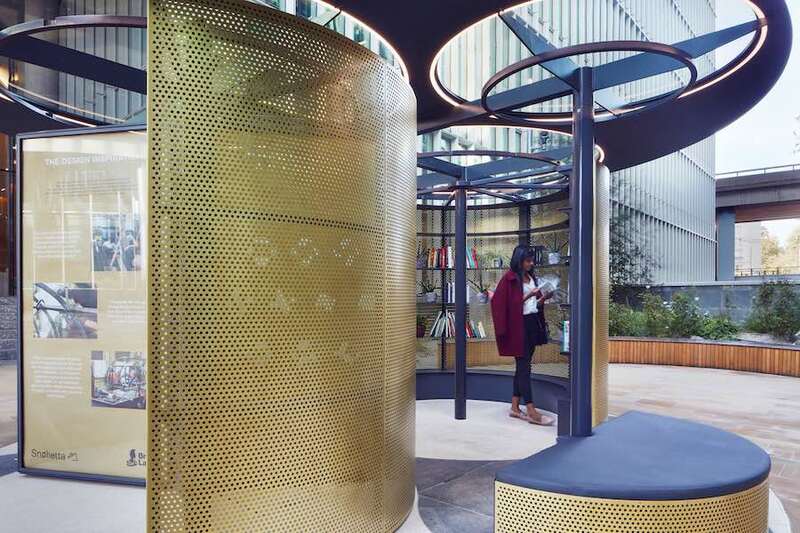 To mark Paddington Central’s first year as a Design Route at London Design Festival, British Land is celebrating the arrival of the innovative and thought-provoking Snøhetta Book Pavilion. 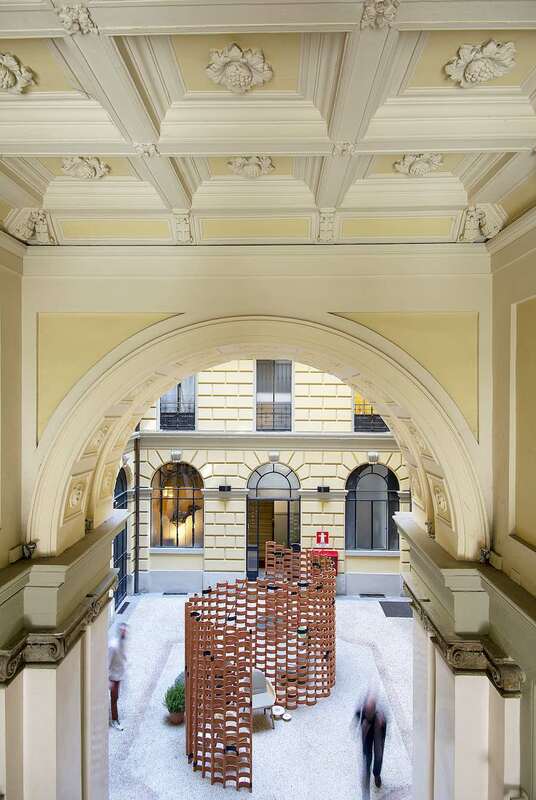 The studio has created a mechanical, rotating pavilion of oversized books which flip to create a variety of spaces, ranging from quiet and reflective to extrovert and public. In the London Design Museum’s atrium spatial laboratory Loop.pH has created a floating mind-powered airship. One visitor at a time will be connected via a headset to a series of personal monitoring devices. These will detect the visitor’s heart rate and brain activity, controlling the robotics that move the balloon. OXO Tower Wharf and around: Barge House St, South Bank – SE1 9PH [Map]. 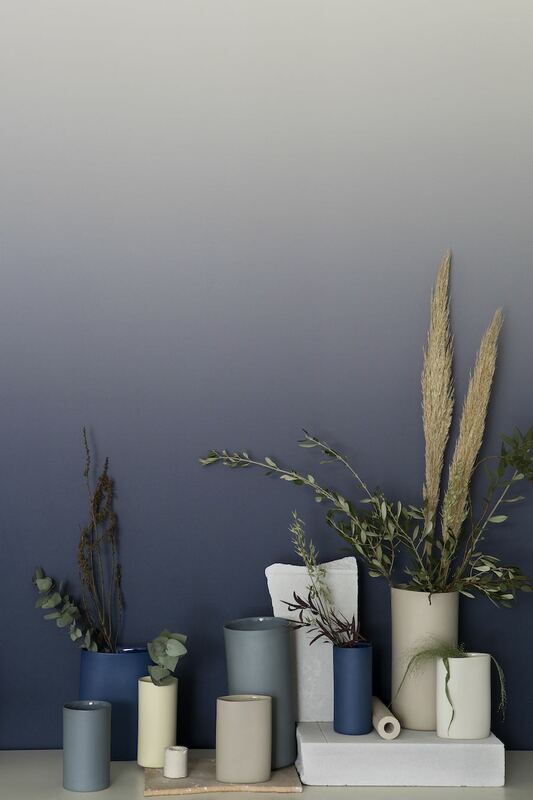 Photo by Ruth Ward via IG – Follow @designjunction. designjunction moved to London’s South Bank. 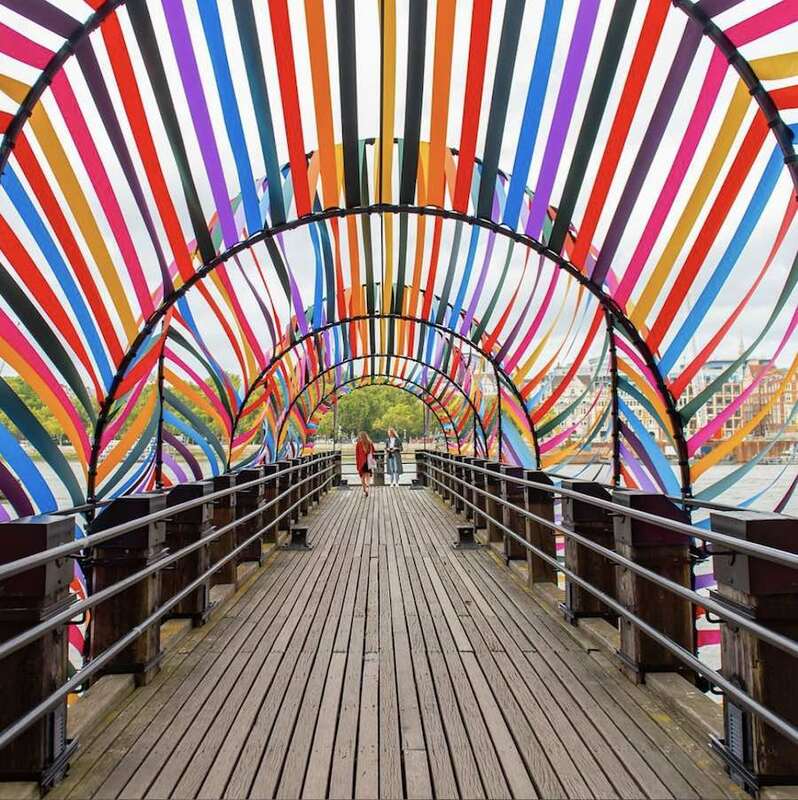 The Oxo Tower and Bargehouse as well as the Doon Street site house exhibitions, talks, workshops and temporary pop-up shops while the Riverside Walkway will welcome special outdoor installations. Among the highlights the innovative Mud Shell project that allows to “Drone Spray” natural materials in order to build a simple but sturdy and durable housing system, the Gateway to Inclusion by the city of Saint-Étienne, which stands to promote inclusivity in design while Urban Roof Gardens bring its new Urban Biophilia concept with an installation providing city dwellers with a botanical sanctuary. Beech Street – EC1Y 4SB [Map]. Photo via IG – Follow @sahardcastle. 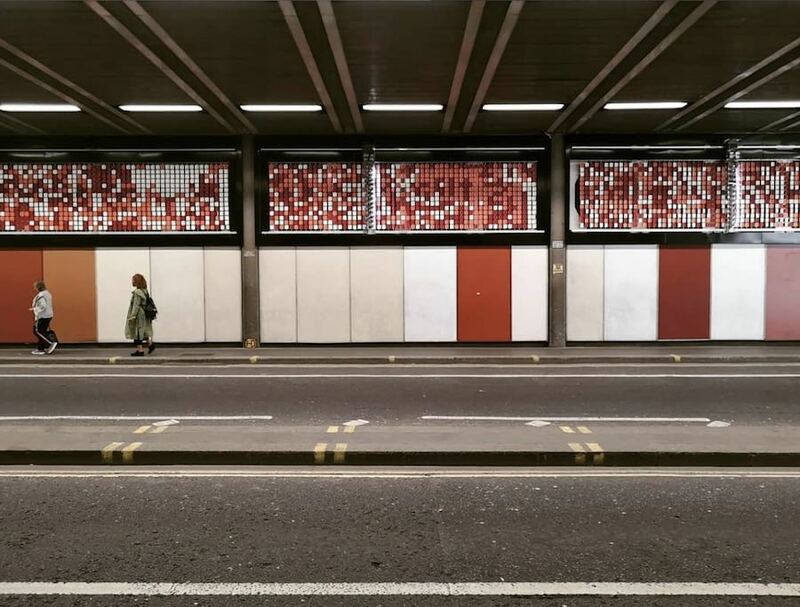 Inspired by the Barbican Estate’s hand-crafted concrete texture, artist Jason Bruges has created Brutalist Tapestry, a monumental kinetic installation in Beech Street tunnel by the Barbican Centre. Three robotic workers translate imagery, video, sound and binary data into tangible marks across the artwork, bringing a new cultural connection to the tunnel. 6 Holywell lane – EC2A 3ET [Map]. Photo via IG – Follow @citizenm. citizenM teamed up with London-based Mexican designer Fernando Laposse to create Sisal Sanctum, an immersive outdoor installation providing a comforting space for contemplation and relaxation in the heart of Shoreditch. 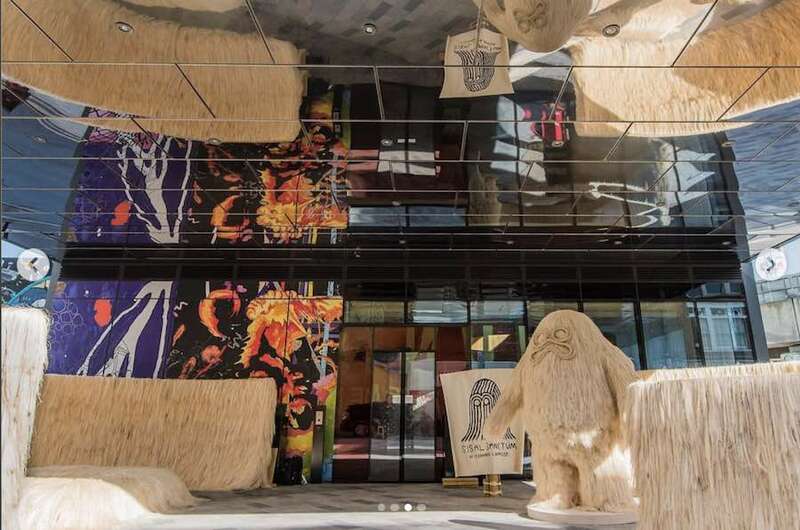 Created entirely with sisal – a sustainable fibre native to Mexico and first used by the Mayans – visitors are greeted by “sisal guardians” at the entrance of the installation, which is enclosed by high sisal walls. 5B Greenwich Market, London – SE10 9HZ, UK [Map]. Art class @ Greenwich Market. 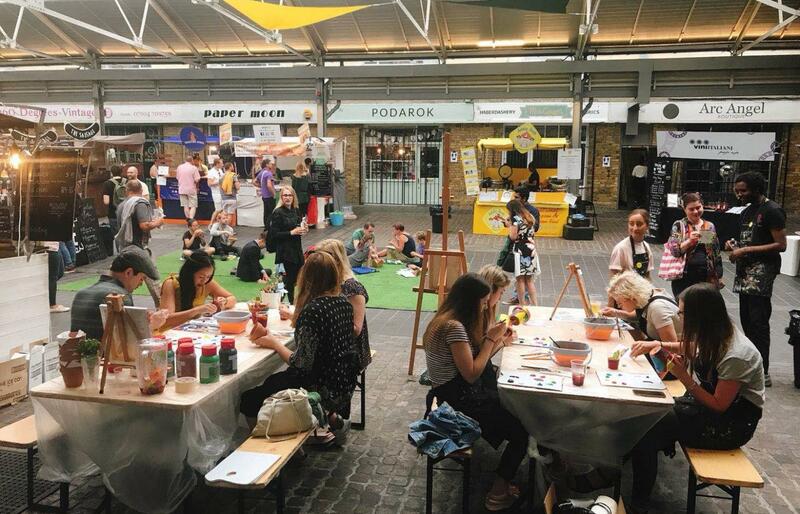 Greenwich Market, London’s favourite arts and crafts market, is celebrating how design can make us feel happier. Visitors are invited to browse the eclectic mix of artworks and installations on show in the many Greenwich galleries and stalls. On 22 and 23 September, Liberté Concept will be hosting art workshops for visitors to explore fun ways to boost wellbeing and mindfulness through art.